Courtesy of Koji Everard After two years at Harvard, Everard decided to return to Japan to work under master potter Taki Nakazato. On a stage at the Harvard Education Portal, Koji A. Everard ’20 sits before a potter’s wheel, patiently crafting a small vase from a lump of clay. A cellist plays beside him. As the performance reaches its conclusion, Everard reaches beneath the vase with a wire, and in one fluid motion, he splits it cleanly in half. The audience’s rapt attention disintegrates into chaos as he gleefully holds up the remains of the destroyed vase. That was a year ago, at the opening reception of the 10th annual Harvard Student Art Show. Now, Everard works in a rural pottery workshop in central Japan. He still creates pottery — and he still destroys it. 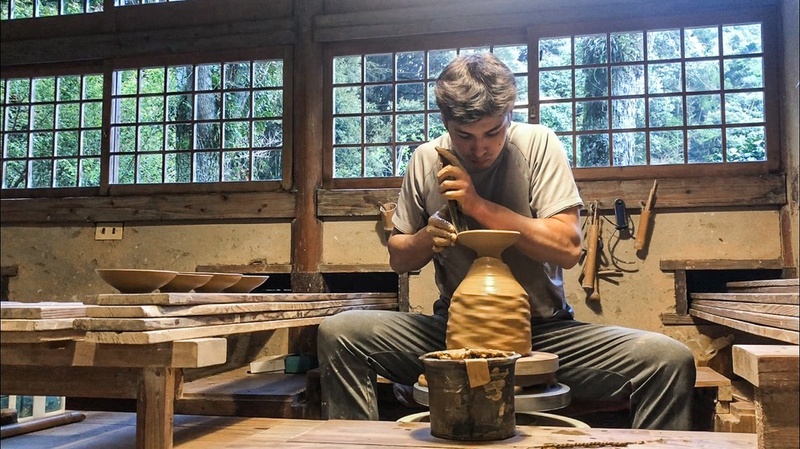 Everard has spent the last year as an apprentice to the master potter Taki Nakazato, whose family has been working with pottery in the city of Karatsu for fifteen generations. Nakazato and his family produce handmade ceramics for distribution across the world. They specialize in tableware that is both artistic and practical. “Their technical excellence and skill levels are really unprecedented,” says Everard in a phone call. Everard’s introduction to pottery began with his grandfather’s East Asian pottery collection. 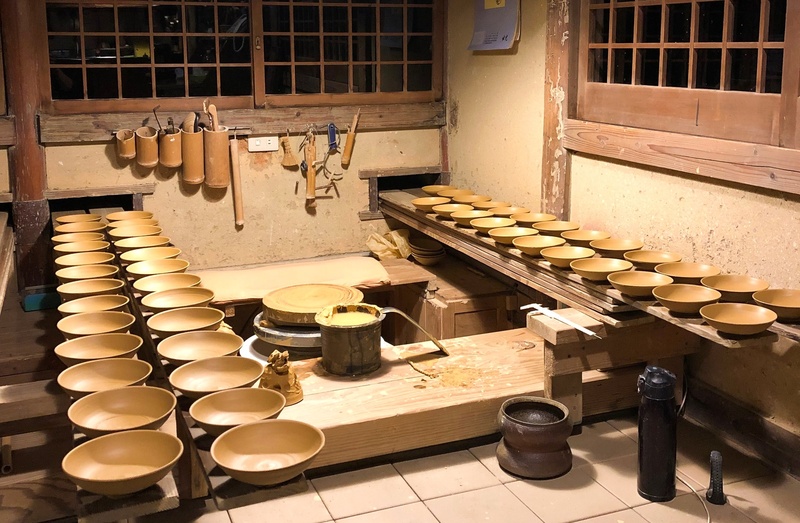 Though he never paid much attention to the collection while living with his grandfather in Tokyo during elementary school, he says that being around it kindled a “subconscious interest” in pottery. He began to pursue this interest in high school, when he enrolled in an introductory arts course that largely focused on using a potter’s wheel. Even though he only took that first course to fulfill a graduation requirement, he enjoyed it so much that he continued with successive courses each year. Eventually, he pursued an independent study project in pottery. Before he came to Harvard, Everard’s mother suggested he take a gap year to learn how to make Japanese pottery. He researched six prominent kilns in central Japan, each with a history reaching back to the 12th century. He wrote letters to the regional pottery guilds that oversaw the kilns, relying on his grandfather to vouch for his talent. He ultimately drew the attention of a few guilds and travelled to Japan to visit them. Everard made over 5,000 plates during his first six months of apprenticeship. Shortly after graduating from high school, Everard began to work with a potter in the city of Tamba, Japan. After two years at Harvard, Everard decided to return to Japan to work under Nakazato. But he quickly realized that this apprenticeship would be nothing like his gap year in Tamba. Now, training alongside another apprentice, Everard follows the strict curriculum of the Nakazato family. He begins a typical day at 7:45 a.m., preparing and cleaning the studio. Throughout the rest of the day, his jobs include glazing, cutting grass, procuring and processing clay, and chopping wood for the kilns — by his count, 12 tons of wood so far. At 5:30 p.m., Everard finally sits down at the potter’s wheel. Before his apprenticeship with Nakazato, he enjoyed creating tall, elaborate vases. In the first six months of his apprenticeship, however, he spent every day making plates. By the end of the six months, he was allowed to fire only 90 of those plates in the Nakazato kiln. Through his apprenticeship, Everard has also internalized Nakazato’s “waste not, want not” philosophy. Everard will carry these philosophies back with him when he returns to Harvard in the fall. He plans to continue his involvement in the Ceramics Program at the Office for the Arts, but he is unsure of where pottery will take him after he graduates.